Published on November 7, 2009 in 8Asians. 1 Comment Tags: 8Asians, Asian American bloggers, Asian-American, BANANA, bloggers, Jee, LA, Los Angeles, Steve Nguyen, USC, video, youtube. Although I’m in the promo above (mostly because I’m in LA and Steve was able to make time for us in his studio for this video), I’m not going to be at the event because I’ll be in Taiwan at the time. But if you’re in the Los Angeles are on November 21, 2009, be sure to check out BANANA, where Infamous Asian American Bloggers Unite to Chop It Up. This is probably the largest group of Asian American bloggers ever assembled. The event is organized by author Lac Su (I Love Yous Are For White People) and television/film producer Steve Nguyen (channelAPA.com LA correspondent). It’s an opportunity to meet the people behind your favorite blogs as well as hear important discussions about the future of our voice, where it will lead to, and how we can come together to find common grounds and focused endeavors to voice our opinions about relevant issues affecting our community. The event will be held on the USC campus on November 21, 2009. Bloggers slated to appear include Angry Asian Man, Minority Militant, 8Asians, Hyphen Magazine, Asian Pacific Americans for Progress, Mochi Magazine, VisualizAsian, Neaato (Network of Entertaining Asian American Talent), Antisocial Ladder, Bicoastal Bitchin’, Soompi, DVAN (Diasporic Vietnamese American Network), Channel APA, AZNRaps, AArising, Nikkei View, and Kimchi Mamas. Other bloggers that can’t make it but will still support the event include Alpha Asian, Disgrasian, Asian American Movement, and BigWowo. A bunch of the 8Asians will be there representing, so come out to the event and say hi. RSVP for the event here. Published on April 26, 2009 in travel. 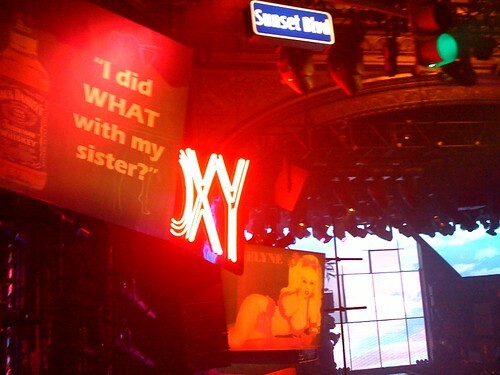 0 Comments Tags: Broadway, Los Angeles, musicals, New York, NYC, Rock of Ages. Rock of Ages!, originally uploaded by !!! :: jozjozjoz :: !!!. It’s like I’m in NY and LA at the same time! Got my Rock of Ages (fake) lighter! Uploaded by !!! :: jozjozjoz :: !!! on 26 Apr 09, 4.02PM PDT. The jozjozjoz.com archives for the los-angeles tag.